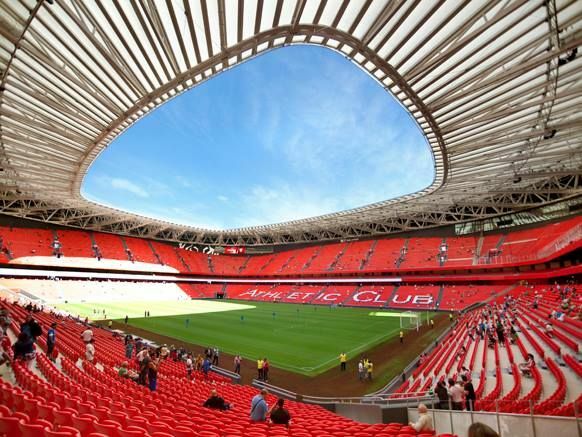 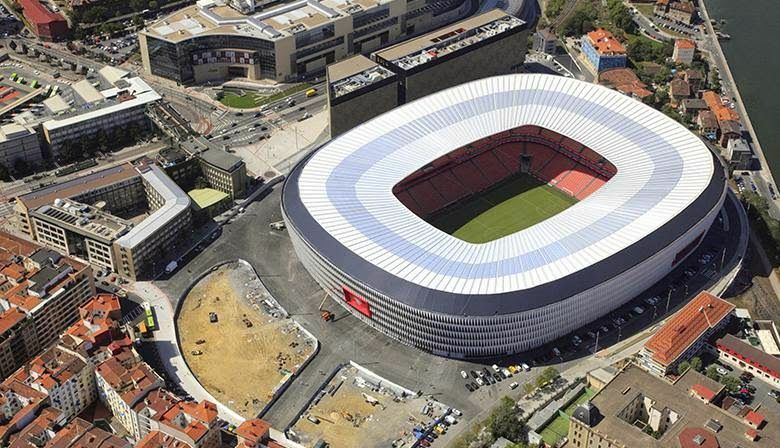 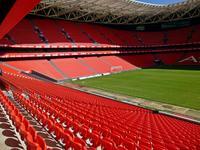 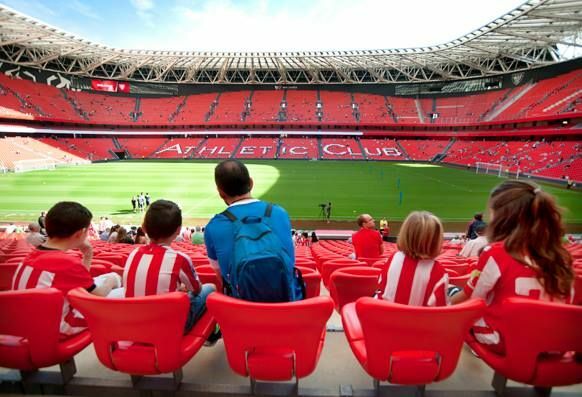 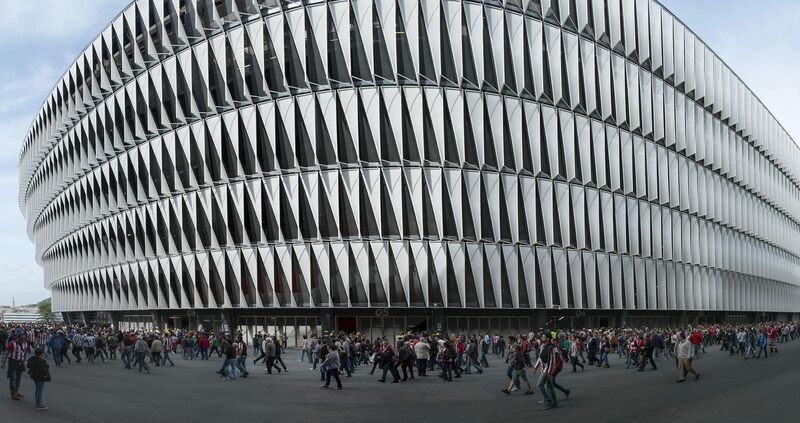 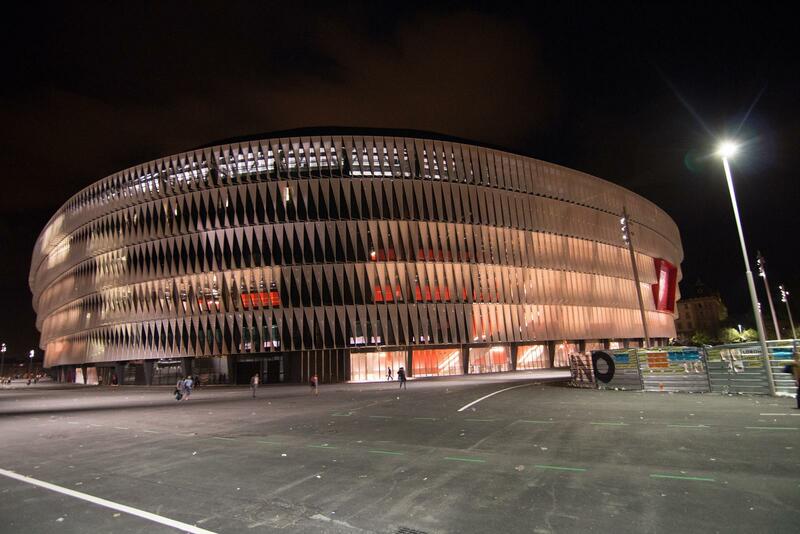 Construction of Athletic Bilbao's new stadium just several meters from the old San Mames began in spring of 2010. 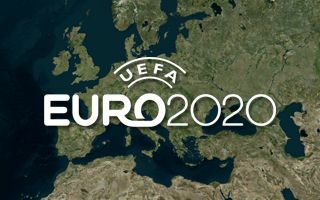 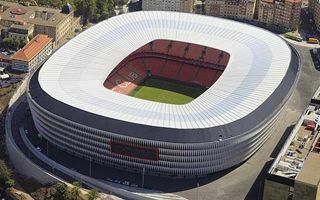 The project was divided in two phases: three stands and the pitch came in first, while the last southern stand was to be built only after the old stadium is demolished due to lack of space and the need to have a stadium for available for Primera División throughout the process. 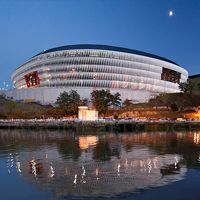 Initial renderings of the Cesar Azkarate vision came as soon as in 2006.. Back then the external design was still unclear, while interior was planned as three proportional tiers. 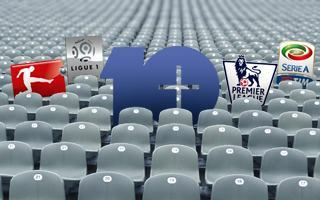 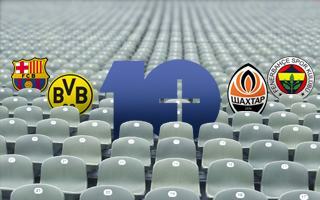 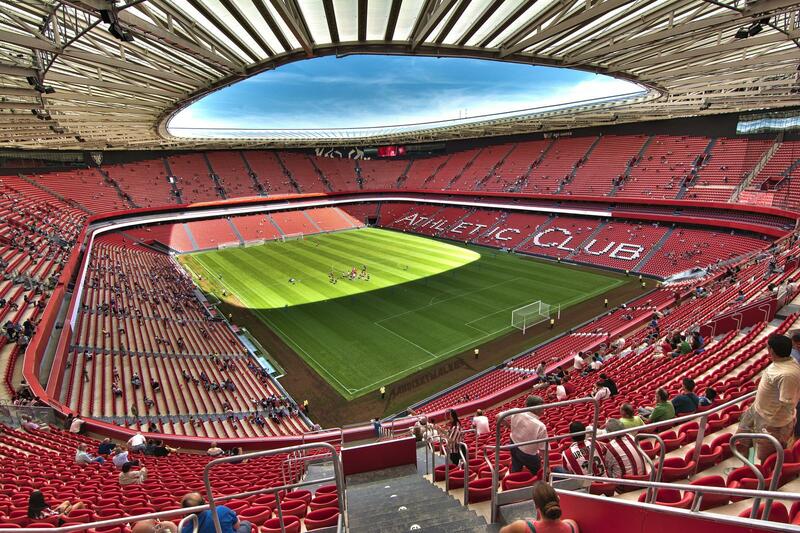 Eventually that seating layout was dropped for two large tiers with a minor business ring between them. 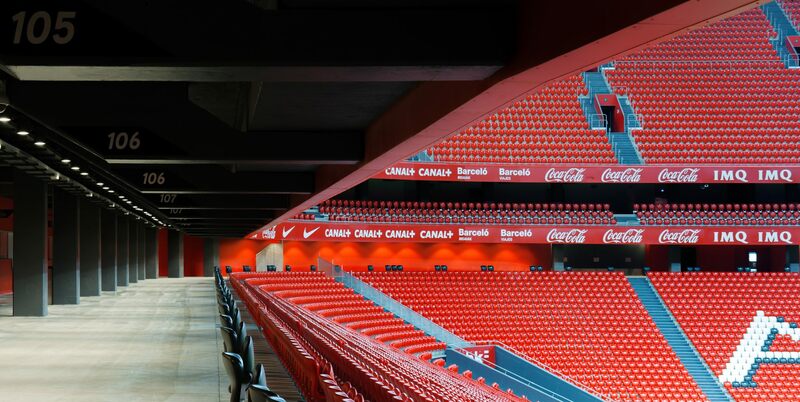 What came as a connection with the old stadium were steep stands strictly surrounding the pitch. 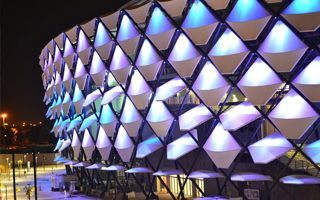 The external cladding was eventually chosen to consist of thousands of white baleens, each gnarled to create an interesting visual effect, but also to allow sunlight and ventilation inside. 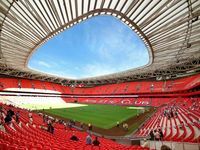 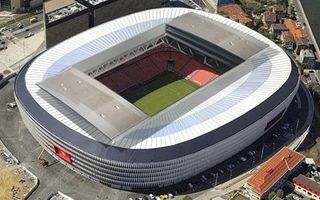 Also, what makes this stadium stand out from most modern venues, almost all of the concrete megastructure visible inside was coloured with black and red paint, completing Athletic's traditional colours with the white cladding. 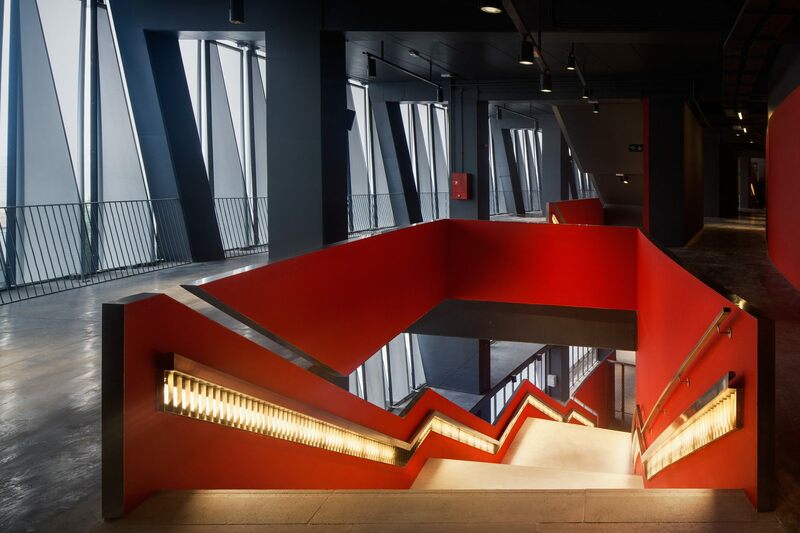 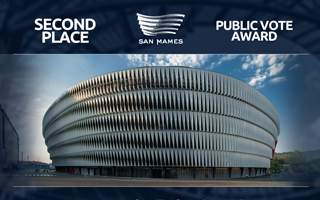 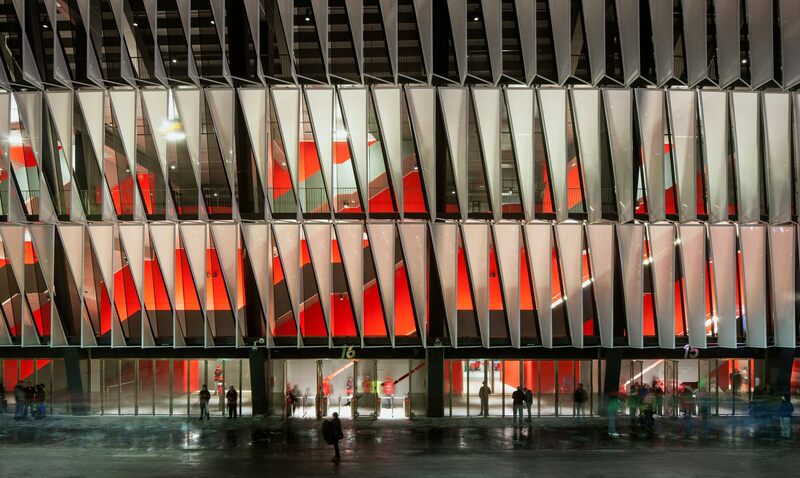 The appealing aesthetics earned new San Mames several international titles in architectural competitions, while three years into its operation it became the first Spanish stadium to be LEED-certified. 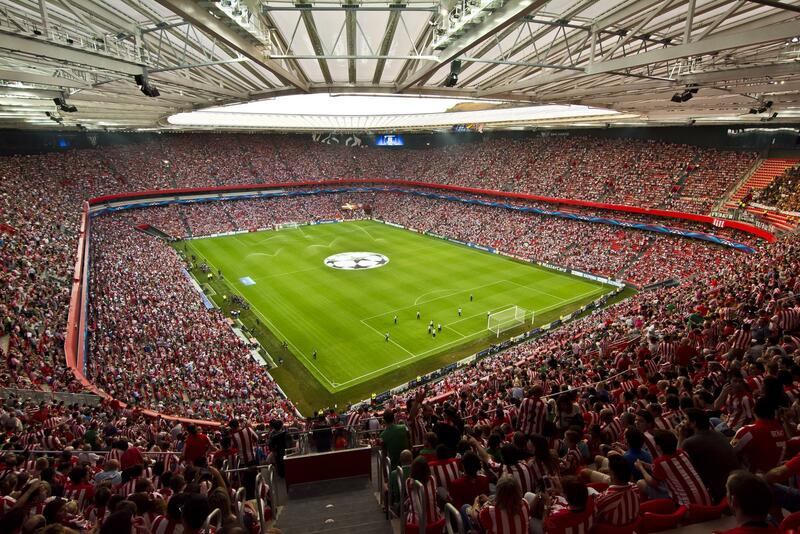 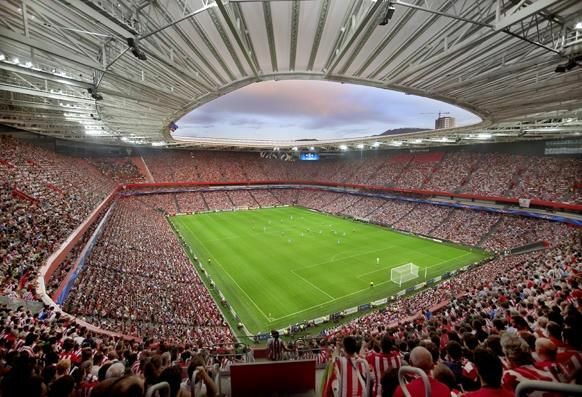 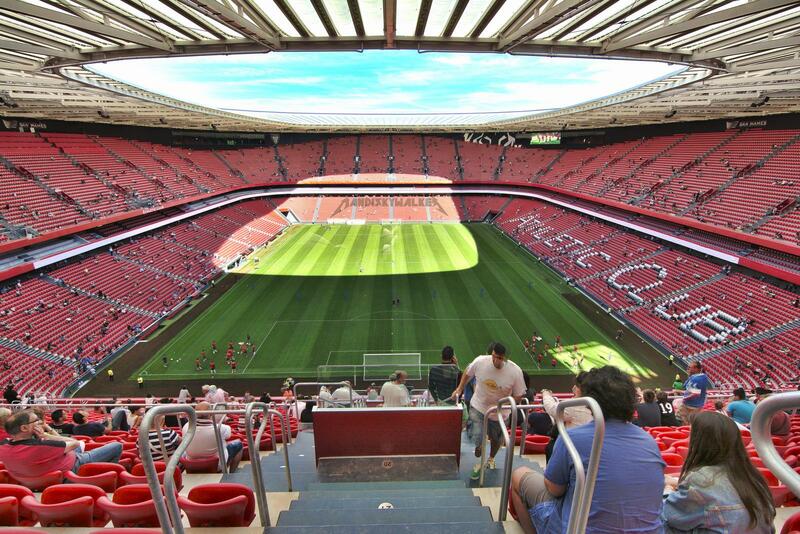 Athletic played their first game on September 16, 2013, facing Celta Vigo in Primera División. 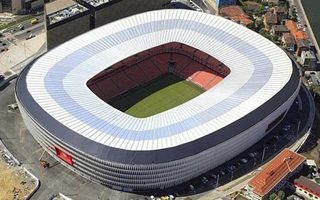 100 years after the original San Mames opened there were 36,000 people present, over ten times the attendance from 1913. 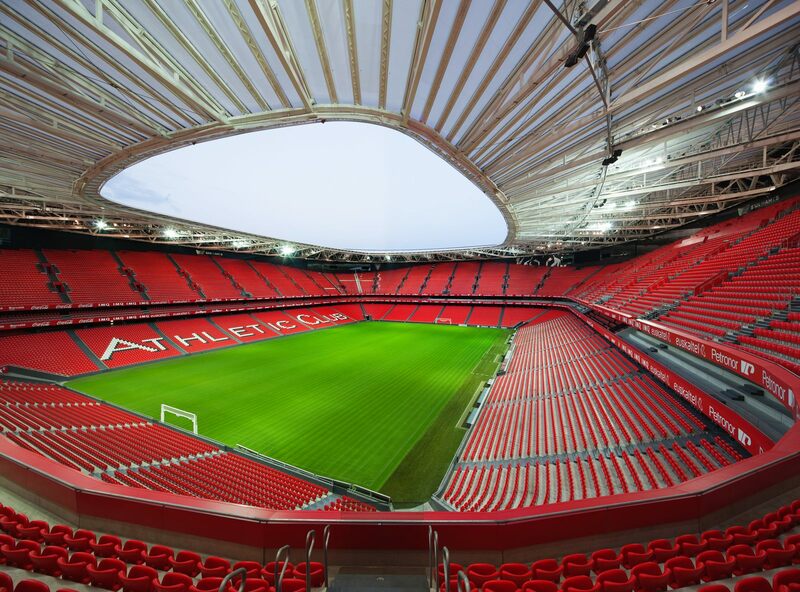 The second phase (south stand) was delivered in September 2014, making the stadium one of the largest throughout Primera División. 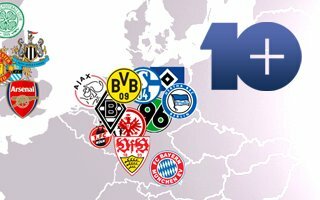 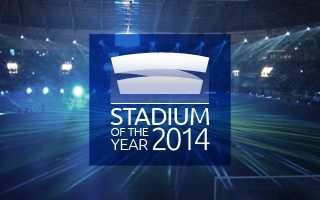 It's a unique case of a stadium to be upgrades just three years into its operation. 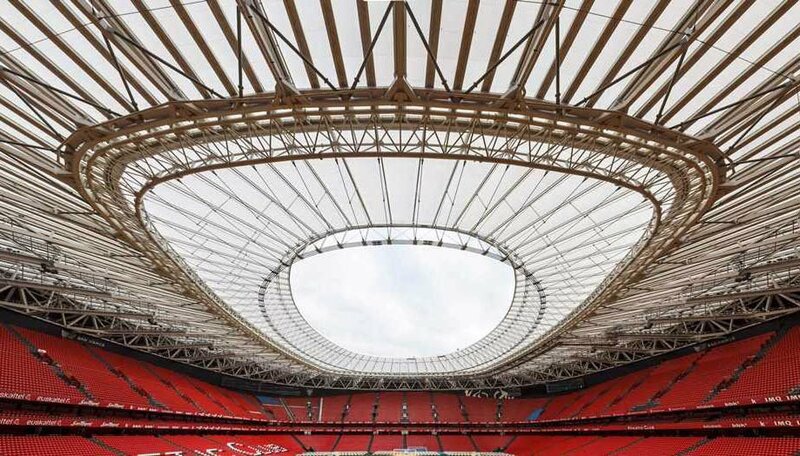 Soon after opening some supporters began complaining that rain water impacted front rows due to wind, even despite the roof covering more space than expected by international guidelines. 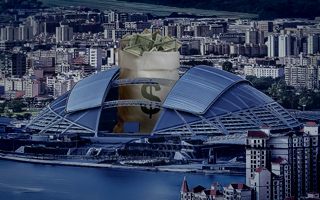 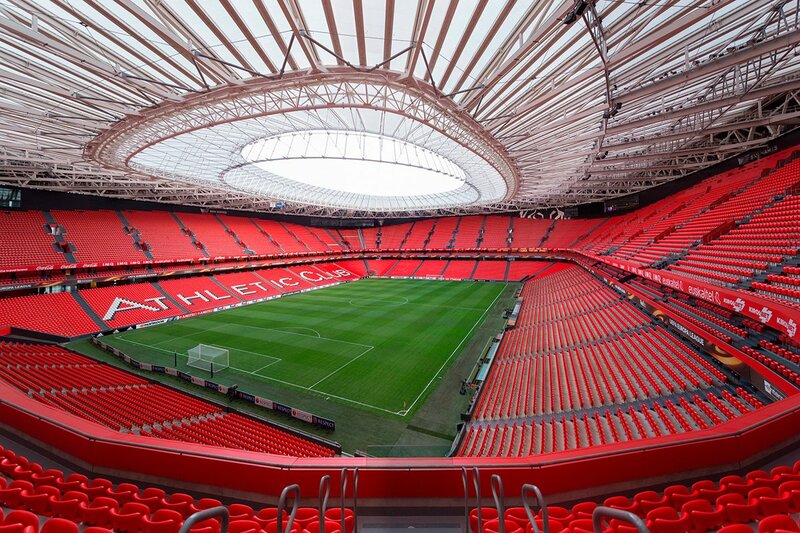 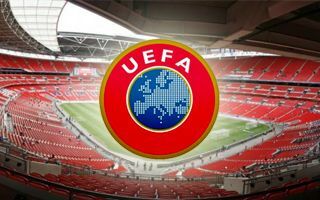 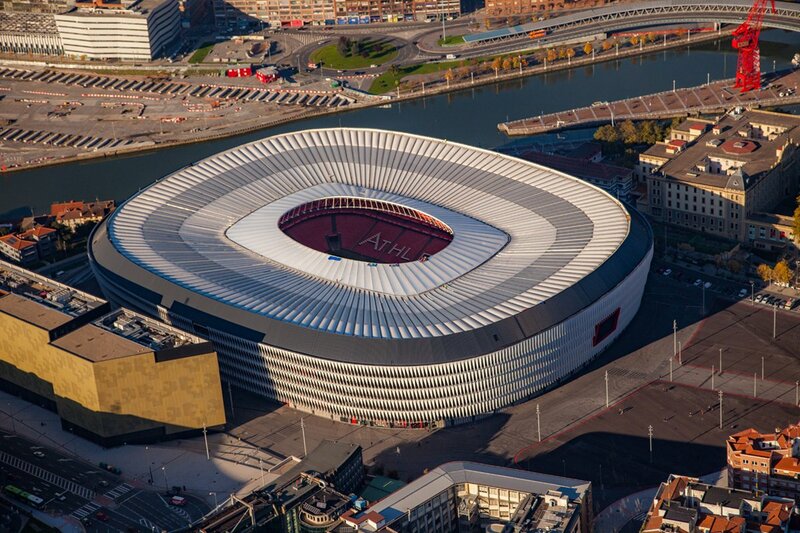 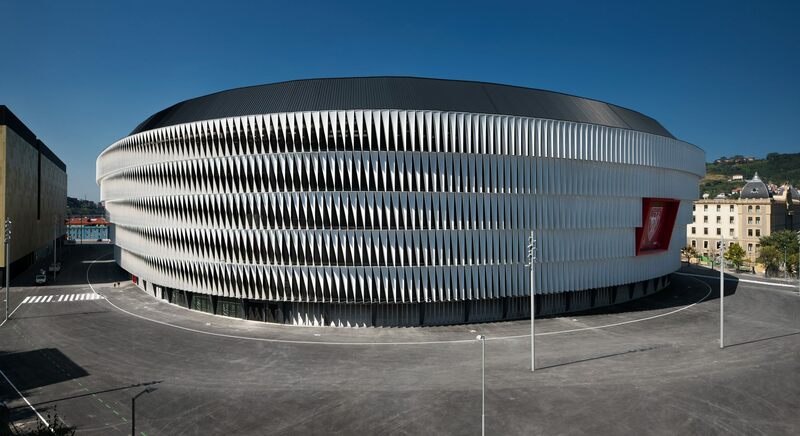 7,000 square meters of cable roof with transparent ETFE cladding was added, making it the most opaque stadium in Spain. 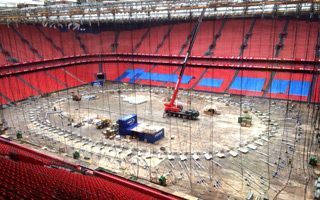 Steel cables have been set on what used to be the field. 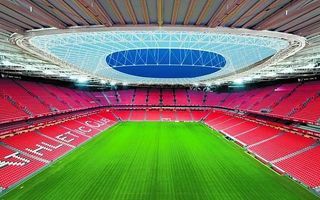 By late July grass will be ready to welcome Athletic players, but the new roof won’t increase protection of supporters until autumn. 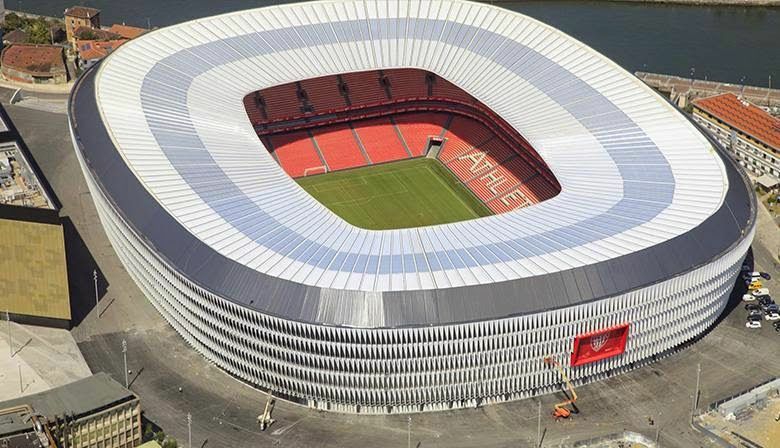 Adding a retractable roof over San Mames may run along the schemes in Warsaw or in Amsterdam. 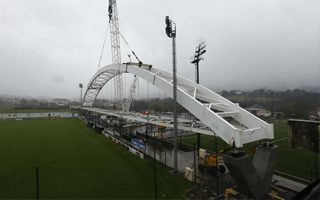 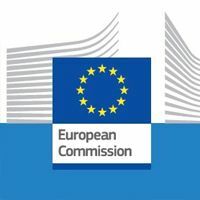 Depending on solution used it might cost €20-30 million. 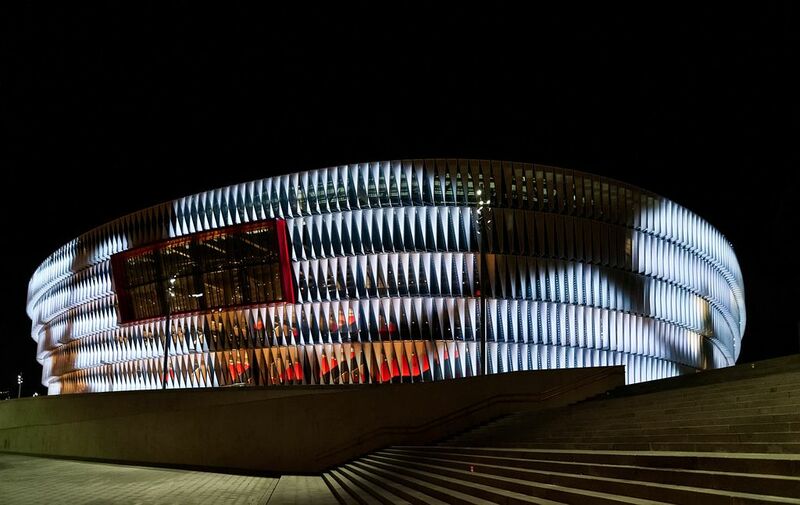 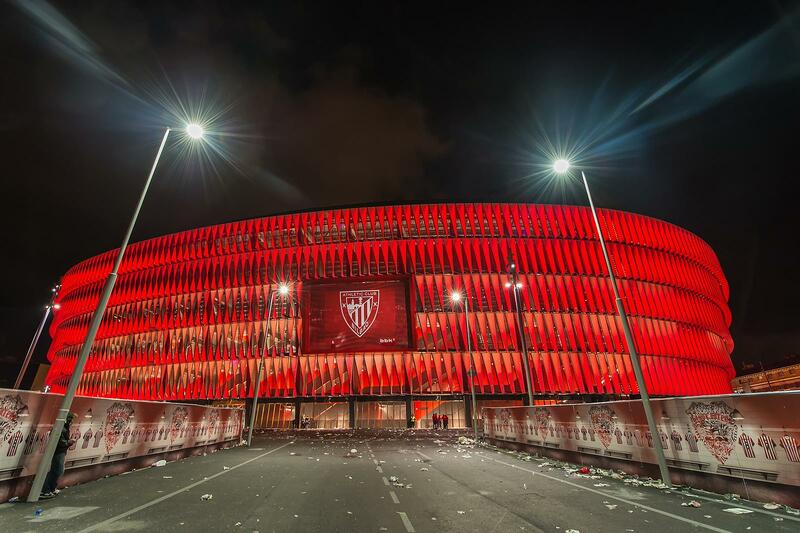 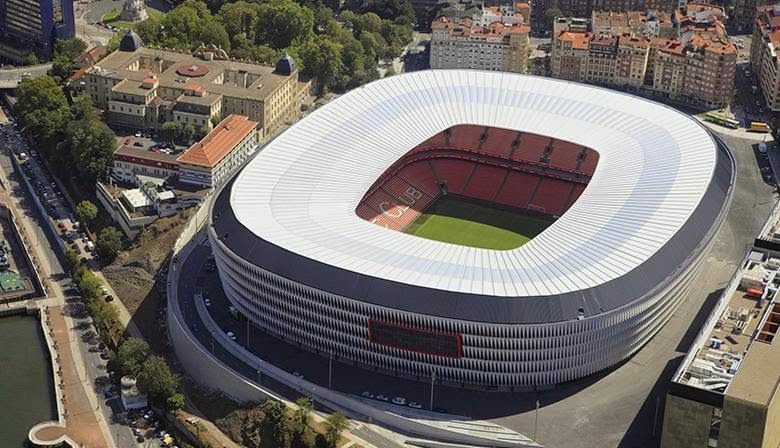 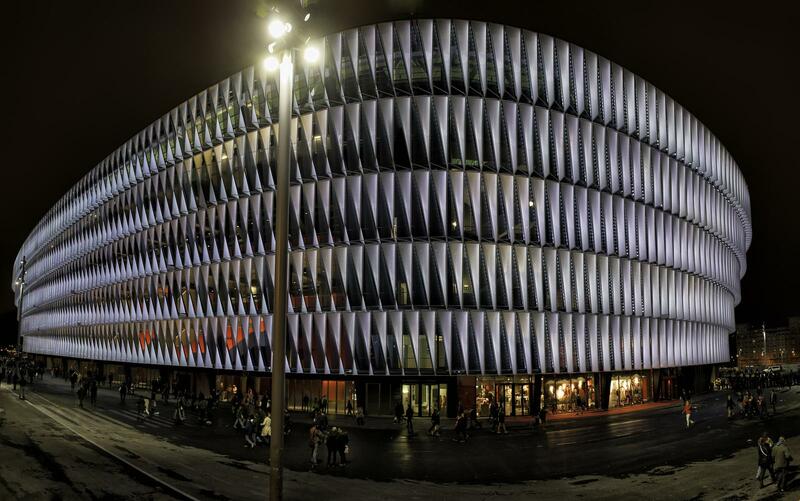 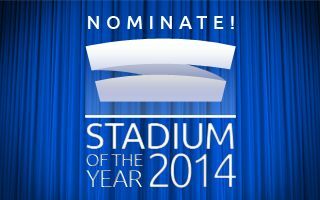 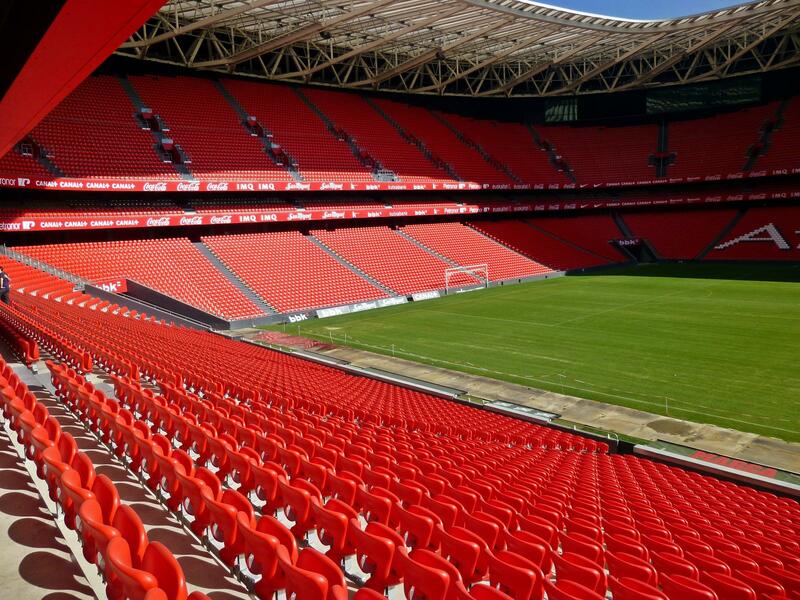 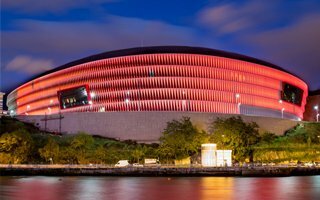 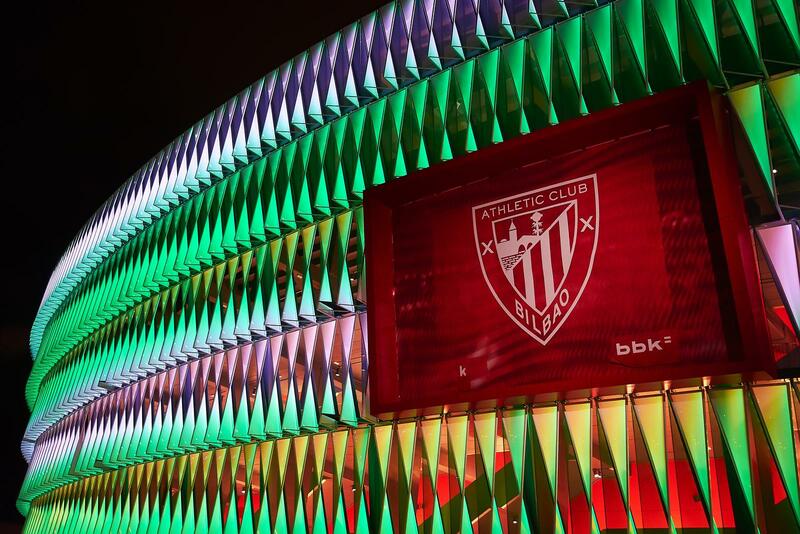 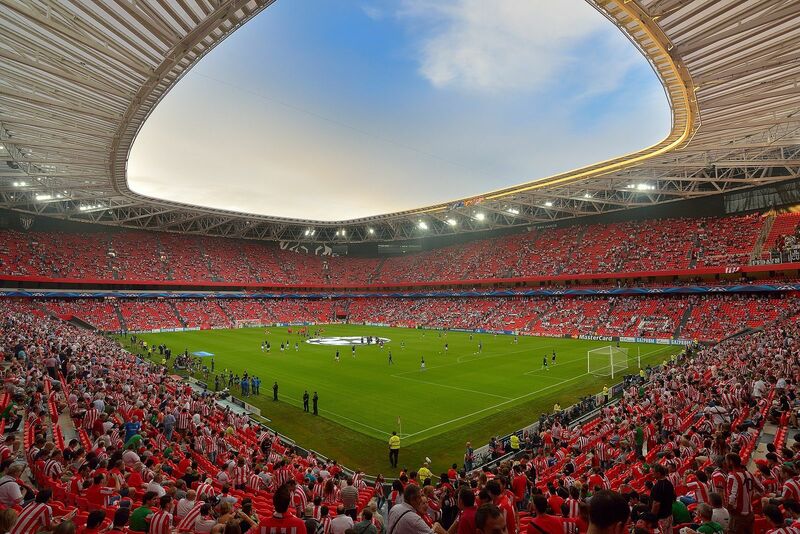 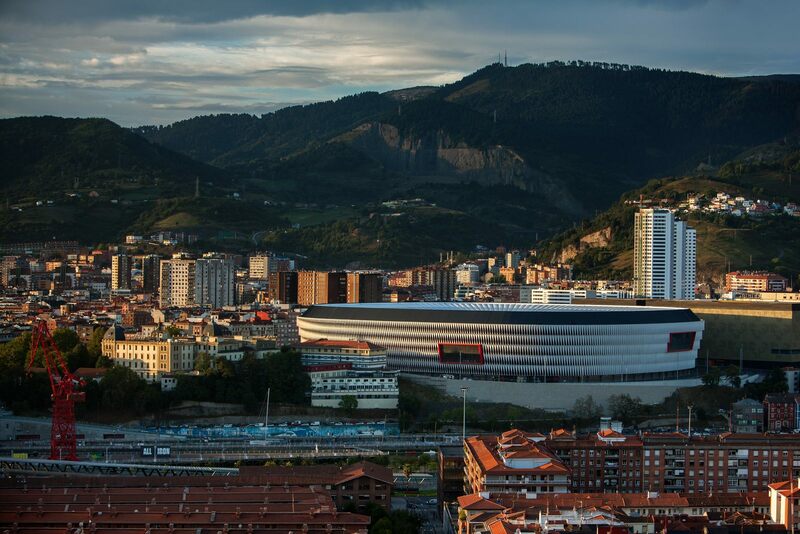 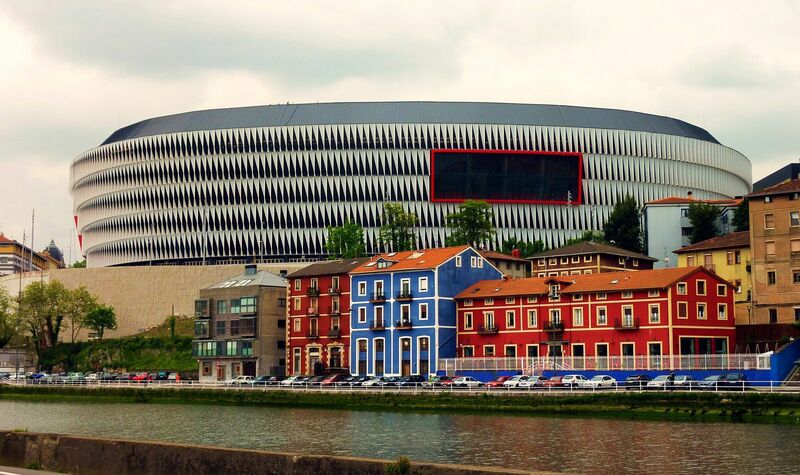 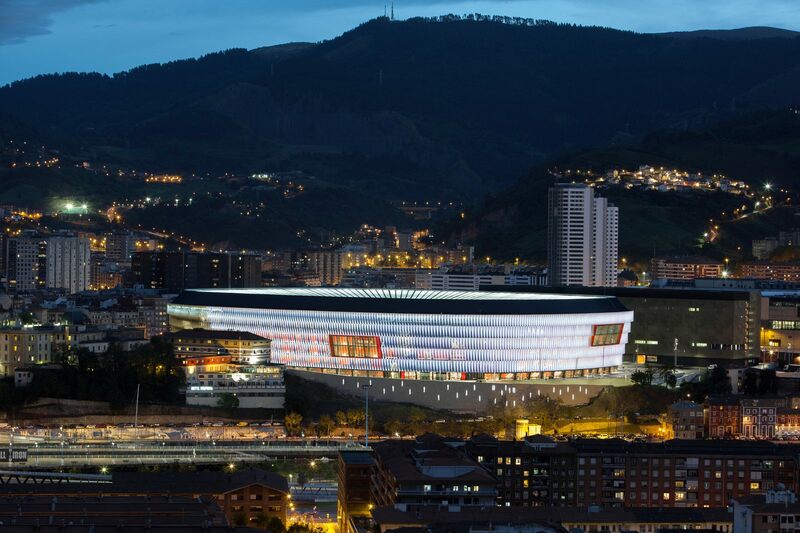 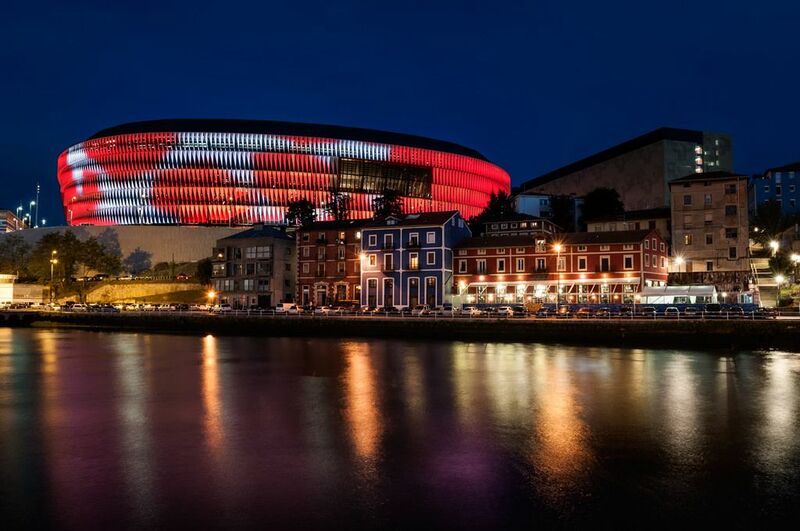 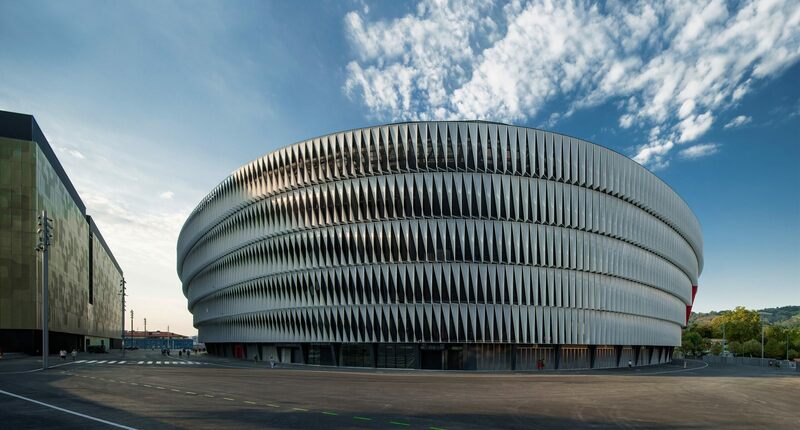 Highly-regarded no matter the geographic location of our voters, the new football icon of Bilbao reached the runner-up position in Stadium of the Year.